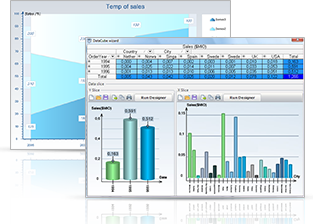 Analyze and chart your OLAP data easily! 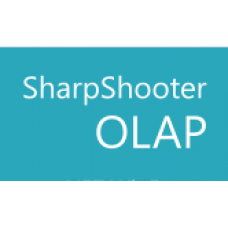 SharpShooter OLAP is a completely managed OLAP component designed for the creation of effective decision support systems. It is capable of working with huge databases. With SharpShooter OLAP embedded in your application, your users will be able to view any amount of data in any way considered suitable at the moment, as well as perform interactive analysis of any type and quality. The following manipulations are available: data filtering, drilling down, rolling up, dimensional pivoting, ranking, etc. An evident advantage of the product is its ability to present data with the help of data visualization components. A powerful charting solution, SharpShooter Charts is included into the suite for your convenience. The library is fully compatible with SharpShooter OLAP and allows charting of OLAP data in a few minutes with just a few mouse clicks. The true WYSIWYG designer provides flexible chart customization and creation of complex chart configurations that are difficult to design with other similar products. The following chart types are available: Pie, Bar, Stacked Bar, Stacked100Bar, Spline, Line, Bubble, Area, Stacked Area, Stacked100Area, Stock, and Candle Stick. 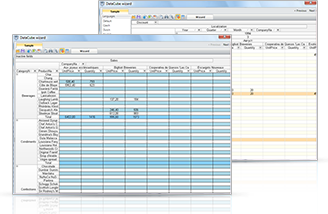 Joint use of components allows the quick transformation of your data into valuable, useful information and charts. Reliable OLAP component can help you manage and analyze your data. Effective charting component that is fully compatible with SharpShooter OLAP provides easy-to-read data visualizations. No need to look for another charting solution and waste your time adjusting two products to each other. 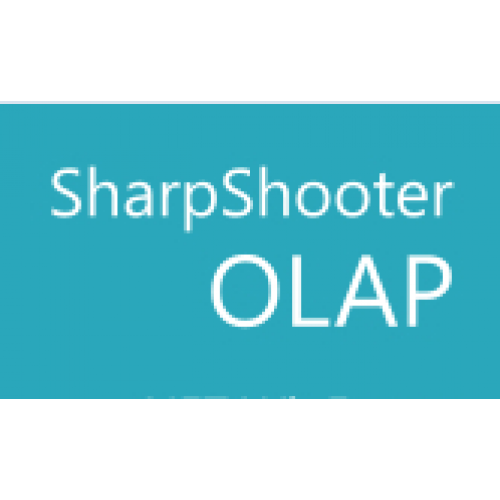 Analyze and visualize your data easily with SharpShooter OLAP!